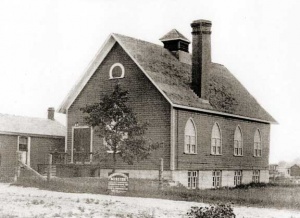 In March 1907, into an impoverished neighborhood in Eastern Toronto near Eastern Avenue and Cherry Street, the Mennonite Conference of Ontario established an evangelical and outreach mission to the poor. Samuel and Olivia Honderich of Goshen, Indiana were the first superintendents. In November 1907 the mission moved to King Street East. From the beginning mission workers reported to the Mennonite congregations around Markham and in Waterloo County on the dire needs of those to whom they ministered. They solicited food, clothing and fuel to help relieve the suffering. Workers also helped the needy to get registered for welfare assistance. Because of the multiplicity of such church missions in that area of Toronto, the Conference decided to focus on new work in a growing community on Danforth Avenue, near Woodbine Ave. The Mennonite Gospel Mission bought land and built in 1910, and the new building was dedicated in April of 1911. Here working-class immigrants from the British Isles found a warm welcome from rural Mennonites of American and Swiss German ancestry. Mission workers continued to seek out and serve the needy throughout this growing community. The mission was to be concerned with all aspects of human need – physical, spiritual and emotional. After John Byler resigned in 1914, the Mission was directed for almost a year by M. Elizabeth Brown, formerly of the Markham area. Simon Kanagy became the superintendent on his arrival in 1915. Simon and Elizabeth were married on 29 June 1916, and Simon was ordained as a minister later that year. The Mission provided Sunday school opportunities for hundreds of local children during the Depression years. Its annual Sunday school picnic filled two street cars for trips to Centre Island. Women's groups included women from the congregation, from other churches and those without a church. For many years church workers and church members wore the traditional bonnets and prayer veilings for women and the plain coat for men. These practices caused considerable controversy in the 1920s. They were discontinued in the 1960s. In 1937 the Mission supported a Sunday School program in the home of one of its members in a nearby community. This initiative gradually grew to the founding of Warden Park then Warden Woods Mennonite church. This congregation flourished for over 50 years, but succumbed to changing community dynamics in 2010. Many Warden Woods members transferred to Danforth Mennonite Church at that time. During the 1950s and 1960s the Church responded to local needs by providing club activities for neighborhood girls and boys. In 1957 the Mission's status changed to that of an independent congregation and it became Danforth Mennonite Church. In 1973 Danforth and nearby Morningside congregation merged to become the Danforth Morningside Mennonite church. Two decades later it reverted to its former name – Danforth Mennonite Church. Since the 1980s Danforth's building has been used for a wide range of church and community-based activities. These have included a seniors drop-in center, Meals on Wheels distribution, and a monthly senior dinner. Members have visited seniors and shut-ins in our neighborhood and in a nearby public housing community. The congregation also established a preschool play group and a mother child drop-in in the public housing community. Danforth Mennonite Church has been instrumental in the development of two summer camps: Glenbrook Day Camp near Stouffville, and Fraser Lake Camp near Bancroft, to which city children are taken by bus. The St. Clair O'Connor Community is a seniors apartment project developed by Danforth in cooperation with the Toronto United Mennonite church. This intergenerational facility also serves a number of families, the handicapped, and those in need of nursing care. Danforth also serves the needs of its members and adherents through formal worship and personal fellowship. In September 2002 it established a Mennonite Voluntary Service unit in a rented four occupant house. From here, young volunteers work for a number of organizations, including Habitat for Humanities, the St Clair O’Connor Community, and others. Throughout the 1980s Danforth shared its building with the Toronto Chinese Mennonite Church. In 1995 Danforth dedicated a newly renovated and expanded, totally accessible, building. True to their urban setting, the congregation frequently bids farewell to friends as they move along, while also welcoming strangers into their growing fellowship. On 15-17 April 2011 the congregation celebrated a century of ministry in Toronto. Bryson, Bill. "History of DMC." 2010. Web. 6 December 2016. http://danforthmennonitechurch.ca/dmc-history-page/. Burkholder, L.J. A Brief History of the Mennonites in Ontario. Kitchener, ON: Mennonite Conference of Ontario, 1935: 326. Burkholder, Paul. "A Brief Historical Sketch of 50 Full Years at Danforth." 1961, 5 pp., Mennonite Archives of Ontario. Bulletin with Chronology, 70th anniversary service, Danforth Morningside Mennonite Church, 1981, Mennonite Historical Society of Canada collection, Mennonite Archives of Ontario. 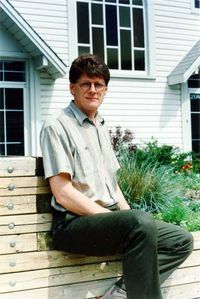 Mennonite Reporter (13 July 1981): 4; (28 September 1981): 14; (9 December 1985): 9; (8 February 1993): 17; (30 May 1997): 15; (20 March 1995): 18; (31 July 1995): 2. Reesor-McDowell, Joanna. "Little Church with a Big Heart." Canadian Mennonite (16 May 2011): 19. Bryson, Bill. "Danforth Mennonite Church (Toronto, Ontario, Canada)." Global Anabaptist Mennonite Encyclopedia Online. August 2011. Web. 23 Apr 2019. http://gameo.org/index.php?title=Danforth_Mennonite_Church_(Toronto,_Ontario,_Canada)&oldid=143206. Bryson, Bill. (August 2011). Danforth Mennonite Church (Toronto, Ontario, Canada). Global Anabaptist Mennonite Encyclopedia Online. Retrieved 23 April 2019, from http://gameo.org/index.php?title=Danforth_Mennonite_Church_(Toronto,_Ontario,_Canada)&oldid=143206.